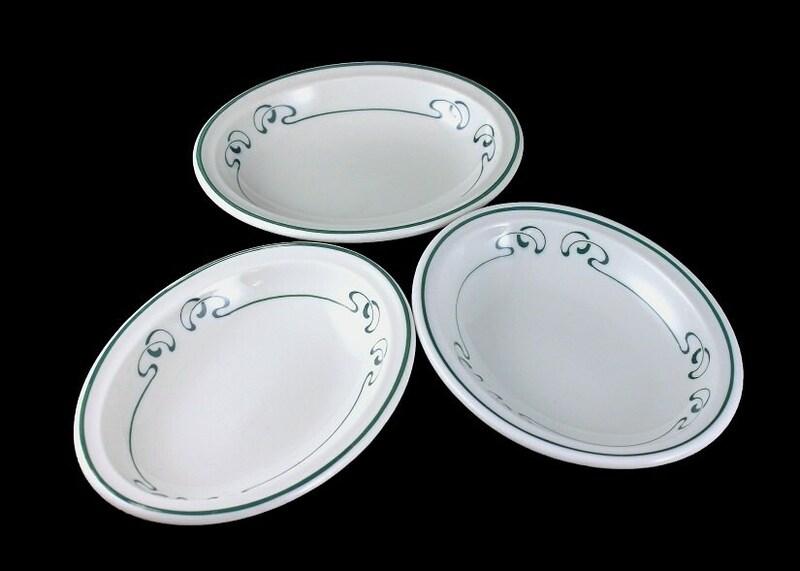 A fantastic set of 3 Syracuse China oval fruit or dessert bowls. 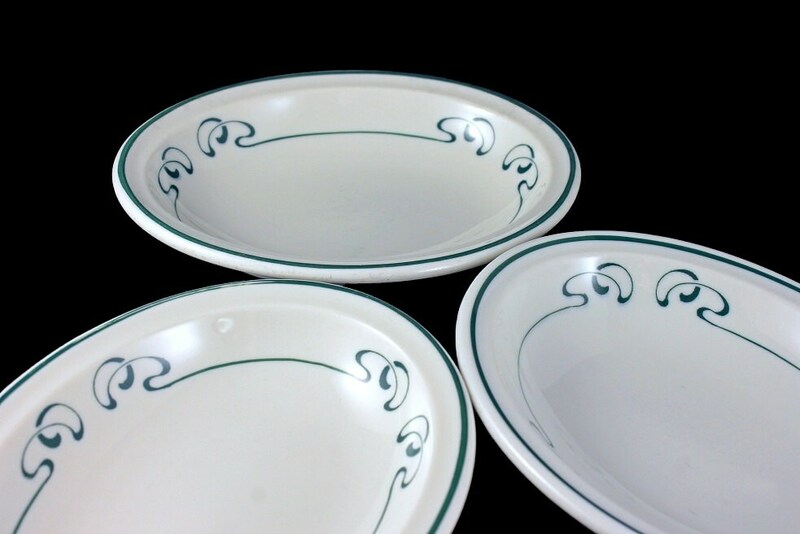 The pattern is a squiggle design with a straight line around the rim. 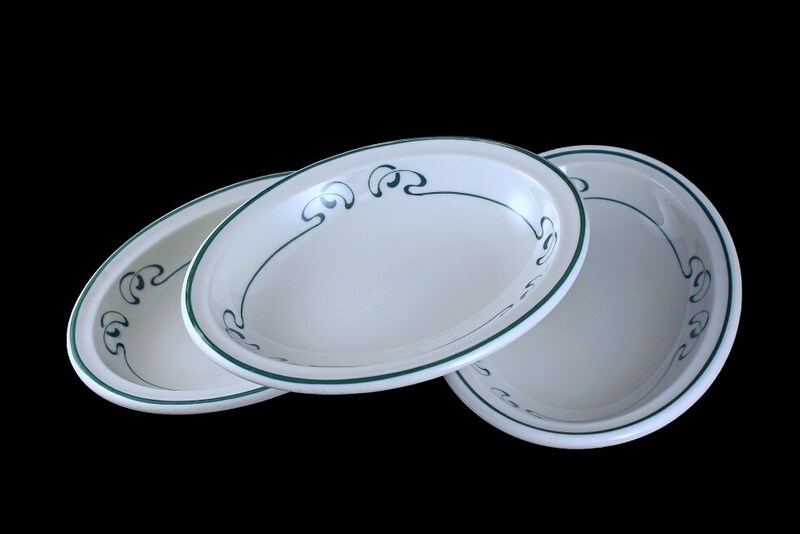 These are heavy restaurant grade china. They would make fantastic serving dishes. They would be wonderful on a buffet, sideboard or dining table. 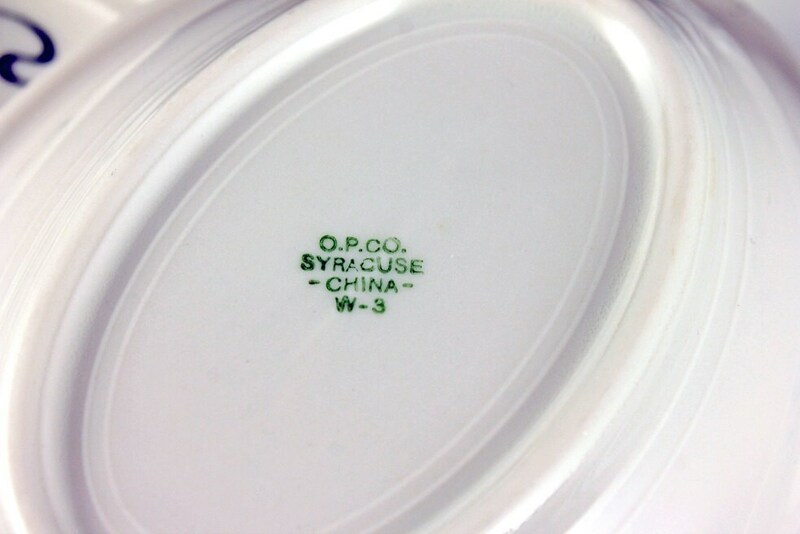 Syracuse China was located in Syracuse, New York. It was founded in 1871 as Onondaga Pottery Company in the town of Geddes, New York. 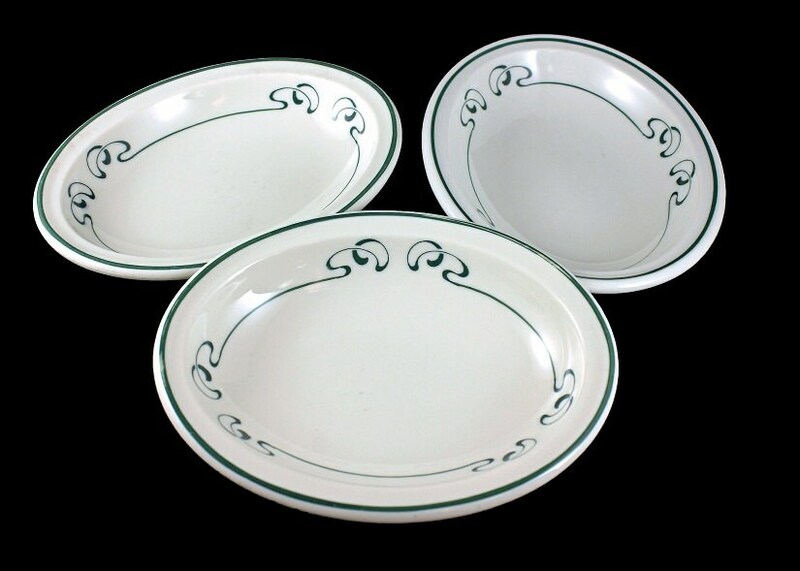 In the late 19th century, Onondaga Pottery began producing fine china, for which it found a strong market particularly in hotels, restaurants, and railroad dining cars. The manufacturing facility in Syracuse closed in 2009, after 138 years of operation. These bowls are in very good condition. There are no chips, cracks, or crazing. They do have some utensil marks from years of being used in a restaurant.